Salem, our 16-year-old tuxedo cat and ball of ever-purring love, shed this mortal coil this afternoon. 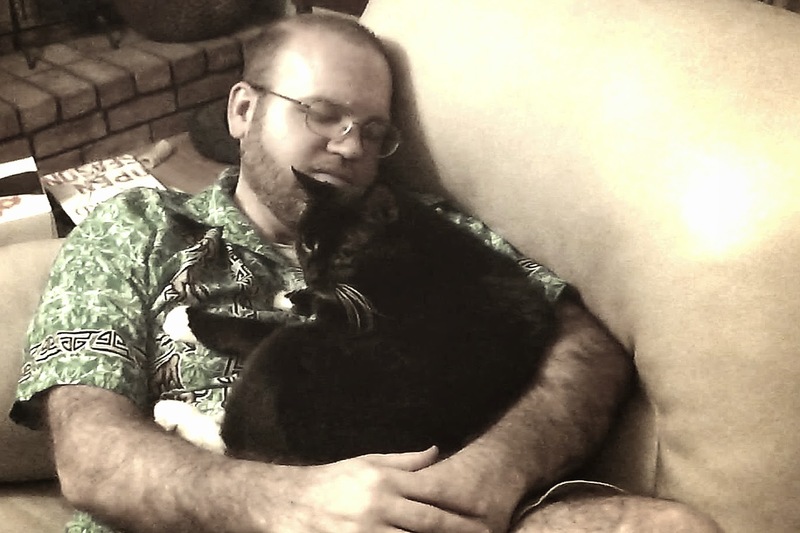 He was quite a large cat, but I don't think he ever envisioned himself as anything but a tiny kitten seeking a lap (or stomach) to take a nap on. As I do enjoy my naps and lounging around, the two of us got along quite well.